If you’re reading this, there’s a good chance you’ve seen the German Expressionist classic The Cabinet of Dr. Caligari. As soon as Robert Weine’s 1920 film came out, it was described as essential. 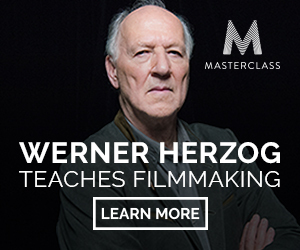 Or as one reviewer wrote, “so-called cultured people who fail to see it are neglecting their education.” There are dozens more German films to which that sentence might apply. Films from the country’s explosive Weimar moment—which also produced Metropolis, Nosferatu, M, Faust, etc.—to those of the New German Cinema movement of the 1960s and 70s, which gave the world such enfants terribles as Wim Wenders, Margarethe von Trotta, Werner Herzog, and Rainer Maria Fassbinder. The furiously prolific Fassbinder died in 1982 at 37, but the former three directors have continued to make internationally-known films into the 21st century. You may have seen Von Trotta’s Hannah Arendt (trailer above), which won multiple awards in 2012. Or perhaps you caught Caroline Link’s WWII-themed Nowhere in Africa, which won an Oscar that same year. The Nazi era may have laid waste to the German film industry—whose biggest talents ended up exiled in Hollywood—and the postwar years are often thought of as a “lost decade” (wrongly, it seems). But on the whole, German filmmakers have produced some of the most visually distinctive, narratively thrilling, and emotionally raw films in world cinema since its beginnings. Germany’s cultural institute, the Goethe Institut, is honoring the legacy of German film, from its classic to its contemporary periods, with 48 films free to stream on Kanopy. (The films include subtitles in English.) 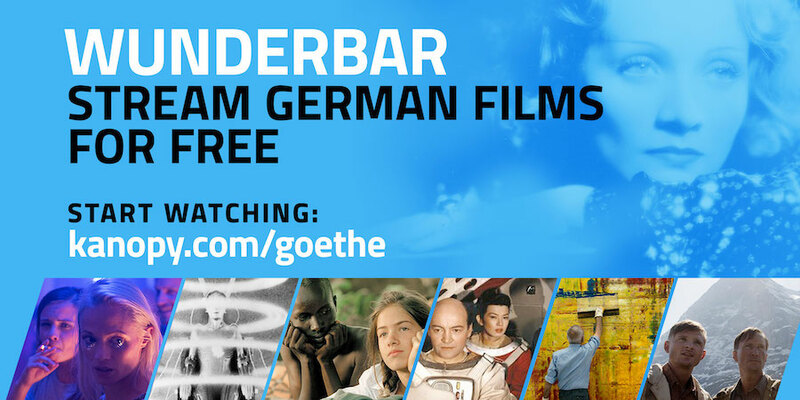 The initiative is just one part of Wunderbar, a celebration that includes “Goethe Pop Ups in the US,” with film screenings, festivals, appearances by German filmmakers, and an online series of critical articles by German and American experts. If you haven’t seen Dr. Caligari, Nosferatu, Metropolis, or Faust, you can stream them now at the Goethe Institut’s Kanopy. You can also see Hannah Arendt, Nowhere in Africa, and other acclaimed contemporary films. Herzog’s 1971 Aguirre, the Wrath of God is in the collection, as is Frank Beyer’s far more obscure Trace of Stones from 1966, a film banned for 25 years by East German officials after its release. There are documentaries on artists like Joseph Beuys and Gerhard Richter, on Marlene Dietrich and, naturally, German beer. Films by directors Anne Birkenstock, Christian Petzold, and Tom Tykwer. Berlin International Film Festival nominee Beloved Sisters appears. There are films that “so-called cultured people” are expected to have seen, and many more unlikely to show up on the syllabus of a survey course. Perhaps only one of these movies has been specifically credited with grimly predicting the future—as Siegfried Kracauer alleged in his book Caligari to Hitler. But all of these are films that deserve a wide audience outside their national borders. To view the Goethe Institut’s selection of 48 films, you’ll need to sign up for a free Kanopy account, which you can do with your Google or Facebook logins or with an email address. Then simply set your home library as “Goethe-Institut” and you can stream any or all of the films in the collection, from 1920’s Caligari to 2017’s Axolotl Overkill, on IOS and Android devices, Apple TV, Roku, Chromecast, or your computer. Thank you for the info!!! I have seen many of these fine films. Great to know they are readily available now via streaming.Always like to revisit old gems.